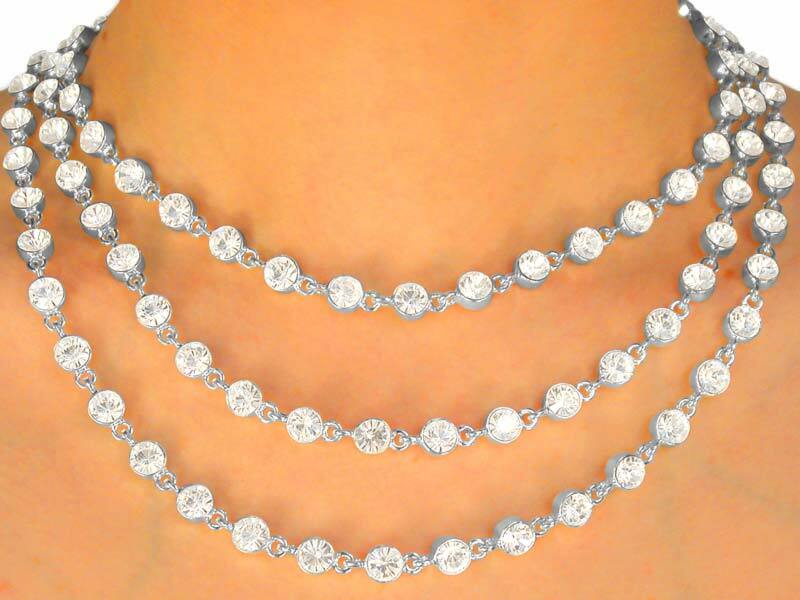 This Gorgeous Silver Finish Lobster Clasp Necklace Dazzles The Neck With The Three Strands Of Genuine, 1/4" Austrian Crystals! 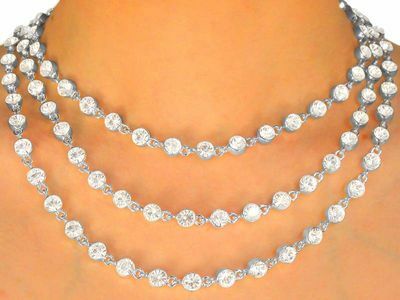 Necklace Measures 15" Long, Plus 3" Extender. This Item Is Not Returnable Under Our 72 Hour Policy! This Item Is Only Returnable For Defects! It Will Then Be Replaced, With The Same Item, Or One Of Equal Value As Determined By Our Company. By Ordering This Item You Have Also Agreed To This.